Florida Survival Gardening: Making easy biochar without barrels, infrastructure, burying, etc. etc. etc. As I wrote Friday, I'm attempting to enrich a chunk of lousy dirt in the middle of my front yard. My food forest project is suffering in that area. A not insignificant part of that attempt involves biochar. As regular readers know, I'm an obsessive and extreme composter. I hate letting anything go to waste - so when I see neighbors cutting down trees or throwing out yard waste, I ask them to send it my way. Last year, two different families dumped piles of oak branches over my front fence for me. So... burn I did. 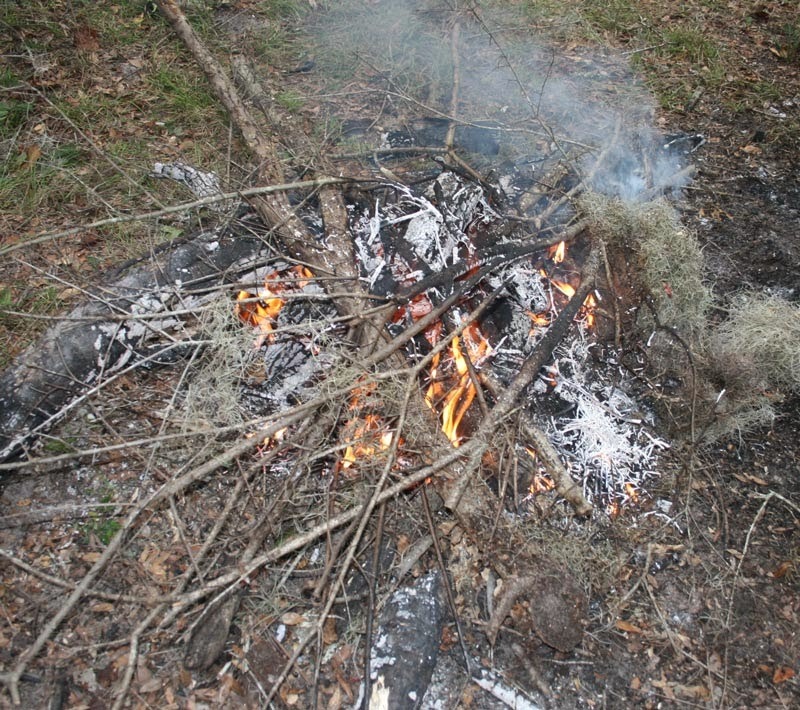 When I burned, I let the fire get down to good hot coals, then raked out the still uncharcoalified pieces of stick and log and made them a foundation of a new fire, then put out the remaining coals with the hose. 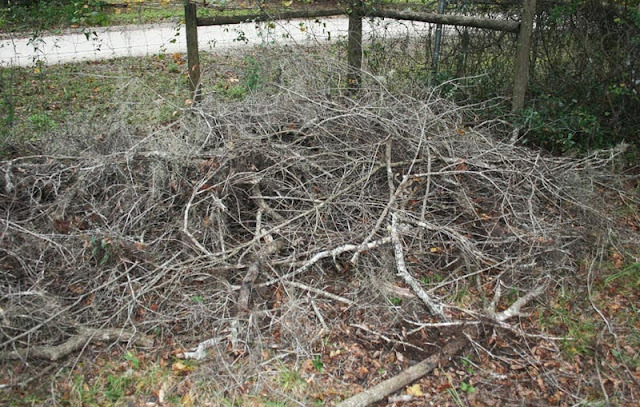 In the end, that stick pile yielded a 1.5 trash can's worth of biochar. Biochar is a nutrient-holding amendment that should be perfect for Florida's sandy soil. My next step is to mix this char into a drum of wet compost and let it soak in microbial life and nutrients. Then I'll spread it around and mulch over it. I've seen all kinds of more complicated ways to make this stuff. I prefer just building fires and putting them out. The last thing I need is another corner of the yard being consumed with a Char-O-Matic SuperDrum or something. Are you using biochar in your garden? Any luck? Let me know! Open burning for char production should be a last resort, for remote locations and subsistence agriculture. The open burn should be a pyramid, top down burn to create pyrolysis conditions and needs to be managed closely for safety and efficient production. Much better to make a drum TLUD... I knocked 1 up with my brother in 1/2hr with scrap drums and an angle grinder. I have made biochar that way. It's quick and easy when dealing with a lot of branches. 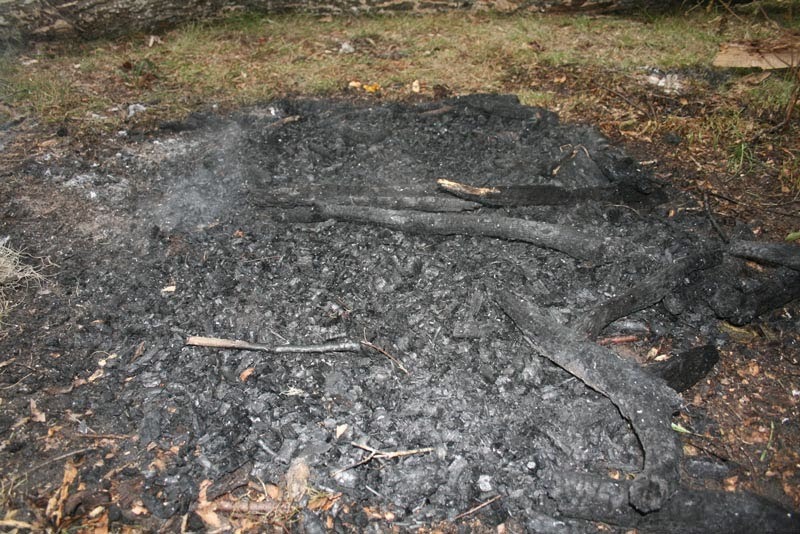 I'm sure there are ways to make better biochar but the charcoal you're making is microporous and it will do the job. Thanks for the link, Trevor. I'm not worried about pollution... nature makes a lot more smoke than I could ever manage. I consider my burning as rain-making. A drum TLUD would be fun, though. That's something to chew on. Have you seen an increase in plant growth when you add biochar to the soil? I haven't made a TLUD, but I do cover my biochar burns with dirt or wet leaves. You lose a lot of useful carbon into the atmosphere otherwise--especially if the dry wood is totally engulfed in flame. All that smoke and floating ash is charred wood that's not going into your garden. Plus, I believe the controlled burn to create charcoal rather than ash provides more structure for water retention and microbial yadda yadda YKWIM. My intuitive sense is that biochar itself is neutral to the soil. Adding biochar alone won't help poor soil, but if you give it time to mix with some serious compost, it provides a good receptacle for soil nutrition and microbes. So far in my experiments, my best results were with a mixture of charred and half-charred wood and lots (I mean LOTS) of wet leaves and pine needles mixed with dirt, left to sit and compost for a few months before using. I didn't seem to get a lot of benefit just from adding crushed charcoal alone to a patch of poor soil.